September 30, 2014 by Lynette M. Fraga, Ph.D.
Editor’s Note: This blog is a repost of a Chicago Tribune article written on September 29, 2014 by Heidi Stevens (@heidistevens13). For the love of baby Charlotte, can we please do something about the cost of day care now? But neither will it be disadvantaged. Her dad is an investment banker and her mom pulled in a reported $600,000 annually from NBC News, where she was a special correspondent for the past three years. Quality child care won’t break this couple. But Chelsea could make it her signature platform at the non-profit Clinton Foundation, which counts “empowering women and girls” among its noteworthy missions. Affordable child care would be a great place to start. Currently, the Census reports that 12.5 million children 5 and younger are enrolled in child care. In 35 states and Washington, D.C., a year of center-based infant care costs more than a year of in-state tuition plus fees at a four-year public university, according to a 2012 report from the National Association of Child Care Resource & Referral Agencies. A recent report from Child Care Aware of America found that sending two children to full-time day care accounts for the biggest single household expense in the Northeast, Midwest and South. (The West escaped the list by having such exorbitant housing costs.) Full-time child care costs more than the annual median rent in every single state, according to the report. The poorest of poor families receive a tiny bit of government assistance, but not much. Only 1 out of 6 children eligible for federal child care assistance actually received it in 2012, according to the National Association of Child Care Resource & Referral Agencies. Which isn’t all that surprising, given how severely The Child Care and Development Block Grant, the primary source of government-assisted child care subsidies, is underfunded. A recent analysis of the program found that total spending on child care assistance fell by $1.2 billion in 2012 to its lowest level since 2002. And the vast majority of families, of course, receive no assistance to offset the costs of child care. 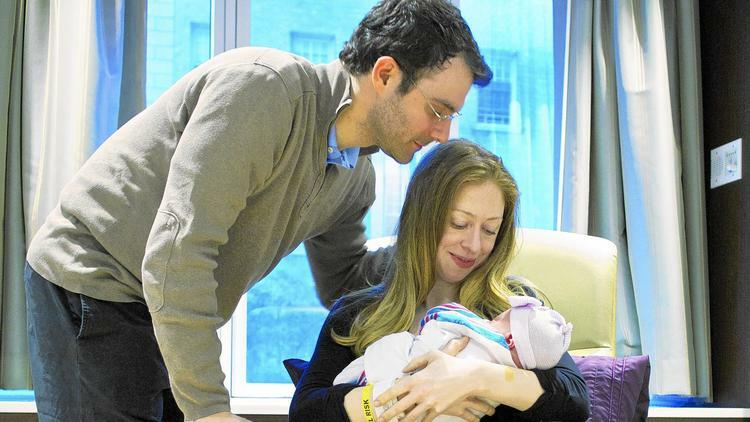 Chelsea could use her new status as a mother — and lifelong status as a Clinton — to agitate for change. Remember when Bill Clinton said he thanks God for his high taxes? Cheers would fill the auditorium. Bill and Hillary would beam with pride from the sidelines. Charlotte would look on adoringly from the arms of her supportive, loving father. And the rest of us could take comfort in knowing that someday we won’t need the salaries of an investment banker and a six-figure special correspondent to afford day care. This entry was posted in Uncategorized and tagged Budget, Chelsea Clinton, child care, child care affordability, child care costs, children and families, daycare. Bookmark the permalink. For the children of America, I hope that she takes on the extremely important cause to change the future. The children of today are our future leaders. If we don’t enact change soon, the nation shouldn’t expect change in the future.